While most small business owners love what they do, many still worry about money on a regular basis. If this sounds familiar to you, the following financial advice should help you make smart decisions with your venture’s money. A lot of times, people think of small business owners as being their own sole employees, or of maybe having a workforce of two or three. 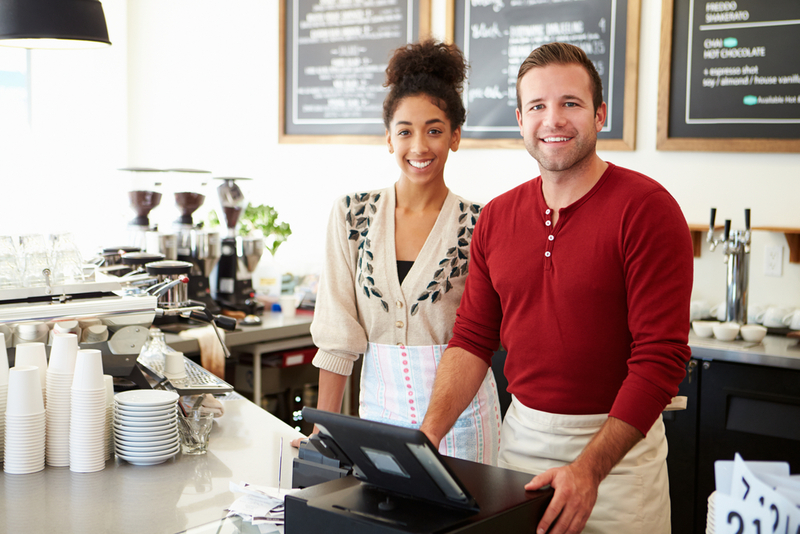 However, according to the Small Business Association, small businesses can be between 500 and 1,500 employees. In any case, the point is that not all of you need to hire the typical 9-to-5 worker. You’re not all running coffee shops or HVAC companies. Some of you still need lots of help, though, which means paying for a new employee. Whenever possible, though, you should opt for hiring a consultant. Nowadays, small business consultants are everywhere. You can literally hire people who have experience working with small businesses just like yours to help you run yours or just get it off the ground. Unless you absolutely have to spend full-time employee money, look for consultants and freelancers to get the results you need without the same amount of overhead. We know this financial advice might be obvious, but it’s still worth bringing up. While many small business owners look at opening a business bank account as a major milestone, others simply plan to get around to it someday. At the outset, they plan to keep it simple and bankrolling things themselves. Do not do this. Mixing your personal and business bank accounts is a recipe for disaster. You could easily end up hurting one with the other and if you end up getting audited by the IRS, you’re going to have a real mess on your hands. Aside from a consultant, another third party we recommend you invest in is a CPA. Hiring an accountant for your small business will practically pay for itself, especially where taxes are concerned. Even if you’re used to filing your own, you’ll soon find out that doing the same for a small business will take a herculean effort. You’ve probably heard of lean startups before. They earn that title by keeping their overhead as low as possible for the first few years they’re in business. Just like we mentioned in the first section, this unique age we live in means you may not need a brick-and-mortar presence to run a business. Your employees can work remotely. You can schedule weekly meetings at a café or have them over Skype. The day may come when it would help to have an actual sign outside and a conference room, but until then, save this money. We know small business owners don’t have it easy. Hopefully, you found the above financial advice helpful, but if you’d like more specific guidance, feel free to contact the team at Mooney Lyons today. The opinions voiced in this material are for general information only and are not intended to provide specific advice or recommendations for any individuals.